Registration is now open for the 17th International Symposium on Advanced Radio Technologies (ISART), which will take place July 24 to 26, 2018, in Broomfield, Colorado. David Redl, Assistant Secretary for Communications and Information and NTIA Administrator, will deliver the opening keynote address. NTIA’s Institute for Telecommunication Sciences (ITS) and NIST’s Communications Technology Laboratory are co-sponsoring the event. 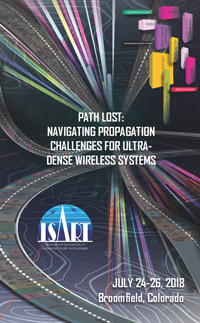 This year’s symposium – Path Lost: Navigating Propagation Challenges for Ultra-Dense Wireless Systems – will explore the current state of the art in radio propagation prediction and map the path forward to the next generation of foundational propagation models. Leading experts from government, academia and industry will explore the technical, economic, and regulatory impacts of network densification in response to the explosion in demand for wireless data. We may take 911 calls for granted today, but it was only 50 years ago that the first emergency call was completed in Haleyville, Alabama. We’re now on the cusp of improving our 911 system by providing our highly trained professionals with the advanced tools they need to do their jobs in the 21st century. 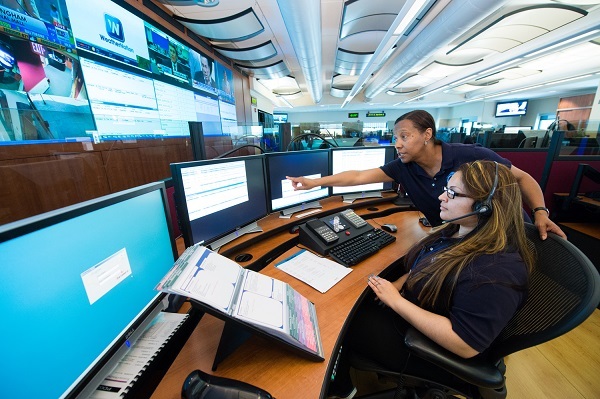 Through our joint Implementation Coordination Office, later this year we will be rolling out a revamped 911 grant program to provide states and territories with federal funds to upgrade their 911 operations to keep pace with Next Generation communications technologies. Please join me this week in recognizing the men and women who work behind the scenes, often without recognition, to answer our 911 calls, dispatch our first responders, and protect our lives and property. 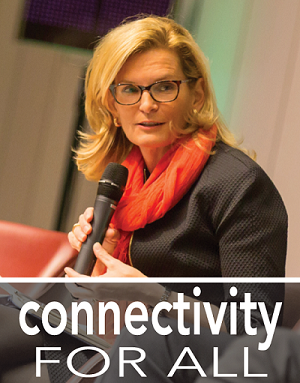 Nationwide broadband connectivity is the aspirational goal bringing together broadband leaders for the March 20 Tennessee Broadband Summit in Nashville. The event, sponsored jointly by NTIA and the Tennessee Department of Economic & Community Development, is an all-day program with workshops and problem-solving presentations from industry, state and local leaders, and community groups working to build connectivity options throughout the state. Strong leadership at every level of government can lead to increased broadband deployment. 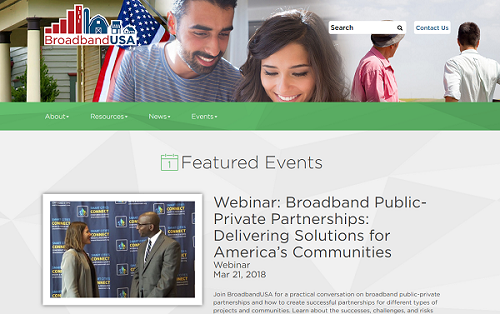 New opportunities through the Tennessee Broadband Accessibility Act and other state and Federal initiatives are vital tools that can help increase broadband accessibility. Also encouraging is the increase in broadband leadership from states, as evidenced in the strong participation at a recent meeting in Washington, D.C. of state broadband leaders across the country to discuss the types of challenges, programs, and investments that are happening at the state level. At the federal level, President Trump has made broadband a key priority. When he was in Nashville earlier this year, the President issued executive orders to streamline permitting, remove regulatory barriers, and make more federal towers available to commercial service providers. We have made progress in each of those areas. Every new innovation in connected devices promises exciting possibilities for the future, but it also means greater demand for spectrum, a critical and limited resource used both by the public and private sectors. NTIA is committed to ensuring that the government’s use of this valuable resource is as efficient and effective as possible. But what does it mean to be an efficient user of spectrum? And how can future systems make better use of spectrum? NTIA’s research laboratory, the Institute for Telecommunications Sciences (ITS), digs into these questions in a new report providing a thorough survey of the history of spectrum efficiency. ITS reviewed more than 50 years of studies examining domestic and international spectrum efficiency to hone insights for future research. The report found broad consensus on fundamental spectrum efficiency metrics, which consider increasing productive spectrum use and reducing spectrum blocking. Studies also agreed that spectrum efficiency metrics are most appropriate for comparing similar spectrum dependent systems or for optimizing the deployment of similar systems within a frequency band. Based on the research, ITS makes a number of recommendations addressing spectrum sharing, and suggestions for how best to focus future spectrum efficiency studies to enable the United States to maximize spectrum opportunities. NTIA is pleased to announce the first award recipients of the State and Local Implementation Grant Program (SLIGP) 2.0, which will provide as much as $43.4 million to help states and territories prepare for FirstNet’s buildout of the nationwide public safety broadband network. The Middle Class Tax Relief and Job Creation Act of 2012 tasked NTIA with establishing a grant program to assist states and territories with planning for FirstNet, a nationwide wireless broadband network for public safety that that launched last year under the leadership of Commerce Secretary Wilbur Ross. Under the original program, NTIA awarded $116.5 million in grants to 54 U.S. states and territories between July 2013 and June 2014. The funding was used to consult with FirstNet and perform outreach to public safety stakeholders. The original grants expired February 28, 2018, and many recipients spent less than expected, leaving leftover funds. NTIA is reallocating these funds in a second round of grants, SLIGP 2.0, which will allow for a broader range of planning activities, such as assisting state, local and tribal governments in developing data sharing agreements, helping with the transition of public safety applications to the national public safety broadband network, analyzing coverage gaps, and convening stakeholder meetings at FirstNet’s request.